How can you convert an old antenna to use coax cable? This poor antenna. Spotted at the home of a friend of mine, it looks like it’s been through some tough times. I’d have to estimate that it’s been up there fighting the good fight for 50 years. That’s long enough to accumulate a healthy layer of oxidation, some hard water spots, and more than one bent element. and modern TVs don’t have a way to connect that cable anymore. What to do? What’s so special about this flat cable? I explained it a while ago but here’s a quick lesson. 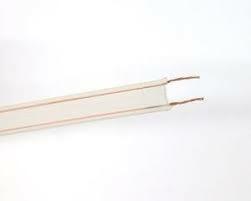 Flat wire was used for antennas because it doesn’t require any electronics to connect to the antenna itself. Its impedance is similar to the antenna itself so the signal flows easily down the wire to your TV. However, flat wire isn’t as resistant to stray signals or as durable as coaxial cable, which is what everyone uses now. You know, this. So it’s not that there is anything so special about the flat cable. Just the opposite. When baluns became cheap enough to make, people stopped using flat cable. All that’s required to use an old antenna with a new TV is a balun, and I’ll show you three options for connecting them. 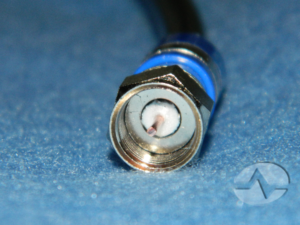 If the flat wire is in good shape and you can run it all the way to the TV, this extremely inexpensive part will let you convert it to a push-on connector that goes right onto the antenna connection. Wrap the wires around the screws, tighten the screws, and you’re done. If you can’t get the flat wire all the way to the TV, you have two options. 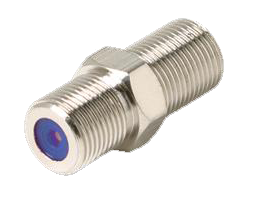 You can use the adapter above with this barrel connector, which will allow you to connect a regular coax cable. From there you can run to the TV. 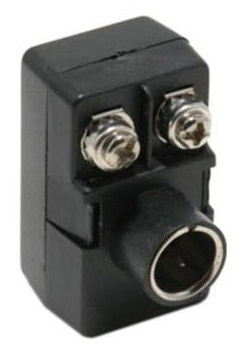 Or, you can use this balun/adapter. It will give you the proper connection for attaching a coax cable and a weatherproof connection. To use this balun just wrap one wire around each of the metal rings (doesn’t matter which is which) and wrap the whole thing up with a lot of electrical tape. You can use the balun/adapter in the photo above right at the antenna. This is really the best option if you are able to get up to the roof. Just trace the flat wire to where it connects to the antenna. Often times there are screws connecting the flat wire. Disconnect them and connect the screws through the metal rings on the balun/adapter and you’re done. Just run a coaxial cable to the home from that point. This same technique can be used on an antenna that already has a coaxial connection but has a broken balun. Let’s face it, these things don’t last forever. If the antenna you have is looking as beat as the one in the top of this article, it might be time to get a new one. 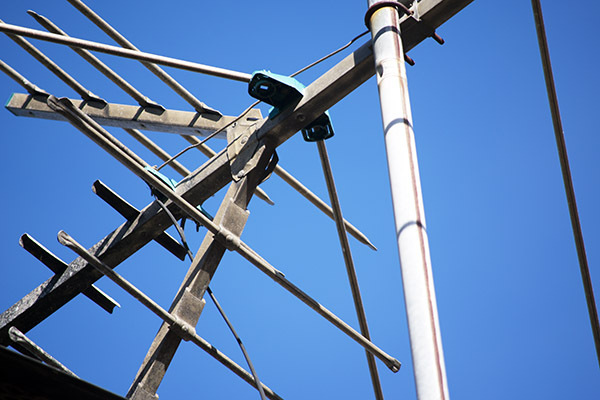 Take advantage of our free antenna request service, shop for what you need, or give our staff a call at 877.312.4547!